The Karamea river is a true wilderness river in a remote part of the Kahurangi National Park. Karamea, the village where the river runs out to the sea, is known as New Zealand’s remotest village. 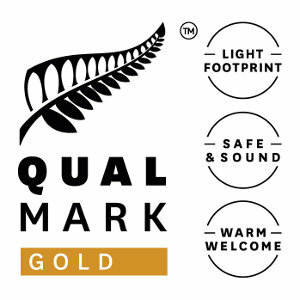 If you get a chance allow yourself the time to spend a night in Karamea, you will get a truly unique Kiwi experience. The scenic flight from Nelson to Karamea is through the magnificent mountain scenery of the 500,000 hectare Kahurangi National Park. Our prices are based on flying from Nelson as a day trip. 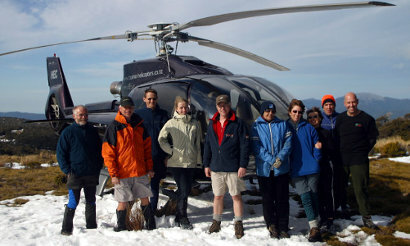 Nelson is approximately 30 minutes by fixed wing plane or helicopter from Nelson. If traveling by fixed wing plane from Nelson Motueka to Karamea airfield, after landing you will travel by vehicle for 20 minutes to the takeout area below the gorge, before being flown to the start of the rafting by helicopter. If you choose to fly from the Nelson area by luxury helicopter, we fly directly to the riverbank deep in the park, where our raft will be waiting. After being provided with wetsuits, warm clothing and other safety gear, you will be fully briefed and undergo training so that you will start feeling confident about what you need to do, and therefore spend your time enjoying the trip. It is normal to spend the 4-6 hours on the river without seeing another human; in other words the river is yours to enjoy. This is a private trip. 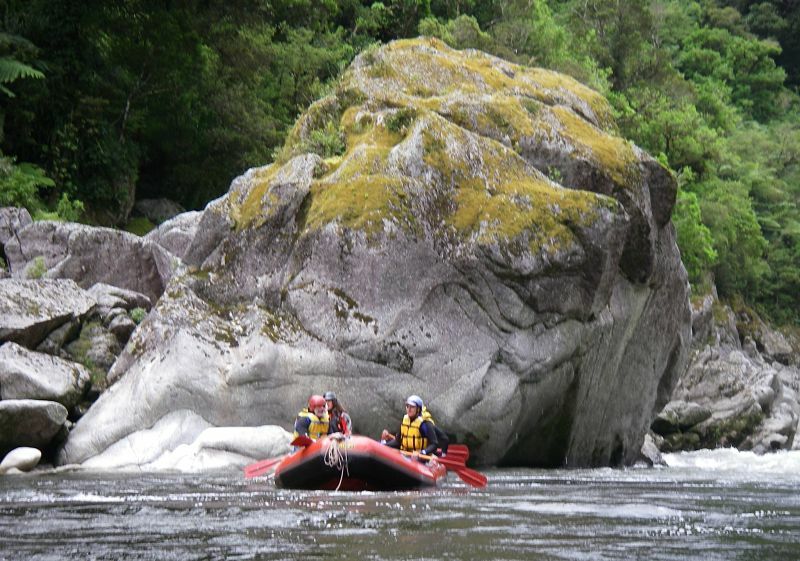 We do not run scheduled trips on the Karamea River. If you intend to be in Karamea and wish to raft you will need to book in advance as our rafting crew does not reside in Karamea. 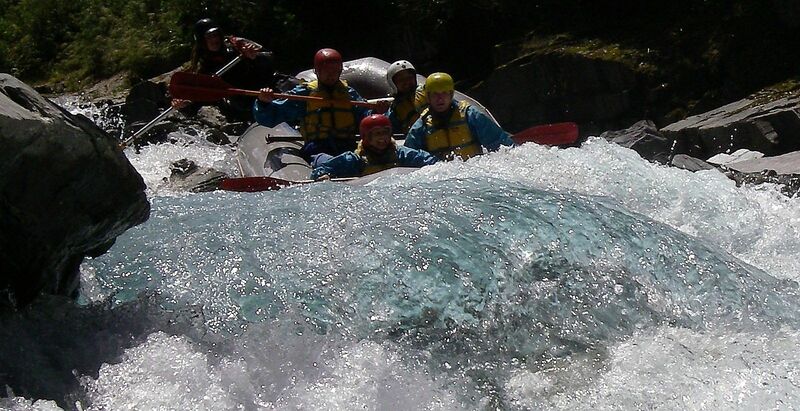 Please ask a for a specific quote if you wish to raft from Karamea. Plane or helicopter flight to Karamea, transfer (15 minutes from Karamea if trip is by plane), helicopter into start of rafting (if trip is by plane) all rafting gear including polypropylene underwear, wetsuits, helmets and lifejackets, lunch on the river. 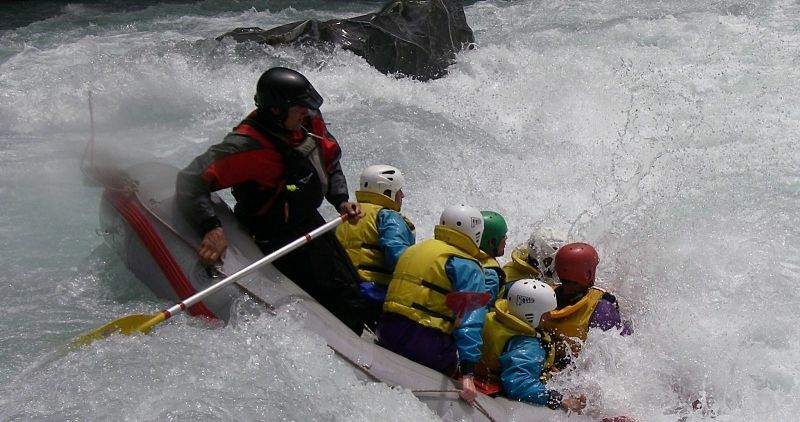 Physical Expectations – You are likely to be able to handle more than you would expect as you will be part of a team that works together, you will receive training and our expert guide’s navigation will combine to provide you with an exhilarating and enjoyable wilderness river experience rather than a “thrill ride”. We don’t raft sections that are deemed too dangerous for the group. Depending on the flow of the river it can be graded between 3-5 and the trip will be managed to meet the skill and comfort of the group.